Eastfield volleyball coach Brandon Crisp tries to instill a culture of family within his squad, but sophomores Jade and Mica Turner have taken the phrase “your team is your family” to a more literal place. The fraternal, or non-identical, twins joined the program two years ago after impressing Crisp at a high school tournament in San Antonio. They played on the same side of the court through most of their childhood. 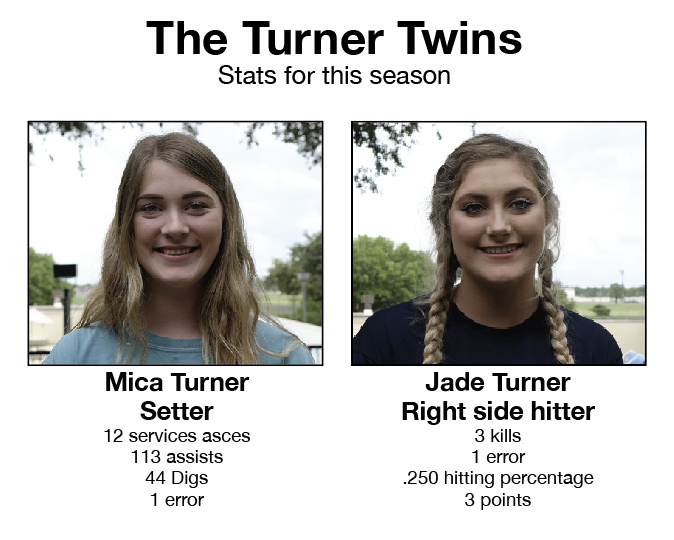 While they weren’t always together during club volleyball, the twins wore the same colors playing for their middle school and Smithville High School after that. “You can definitely tell just by watching them play together that they’ve been together for years now,” sophomore setter Kalli Caddell said. Their on-court chemistry made them stand out, Crisp said, and their friendly and outgoing nature was a good fit at Eastfield. “It’s probably the best bonding we’ve ever had with a team before,” Mica said. Despite the potential Crisp saw in the twins, he was the only coach to offer them a shot at playing college volleyball. “He gave us a brief description of the college, what he’s done already with everyone so far, and it sounded pretty interesting,” Jade said. Crisp said he never viewed the sisters as a package deal. The offer to join the squad was extended to both as individuals. Jade said that appreciation of the twins’ individuality is a breath of fresh air. “As twins, we’re always categorized together, so sometimes we like our little space,” Jade said. Their play helped Eastfield win its first ever national volleyball championship last year. As freshmen, Jade played in 33 sets at right side hitter and had 13 kills and 10 digs, while Mica played in 38 sets with 135 assists, 14 service aces and 29 digs as a setter. The women said their experience at Eastfield, both academic and athletic, has exceeded their expectations. “And we got a national championship under our belt,” Mica added. Freshman captain and outside hitter Catherine Mudd sees some distinct differences in the sisters’ personalities. Mudd said the two may bicker, as most siblings do, but there’s never a worry about it affecting them on the court. They’re both reliable, she said. “They’ve always been good to each other and that always helps us on the court because we know that they’re always OK,” Mudd said. The two have spent their whole lives together, but at the end of the day they are each individuals, each with different goals. 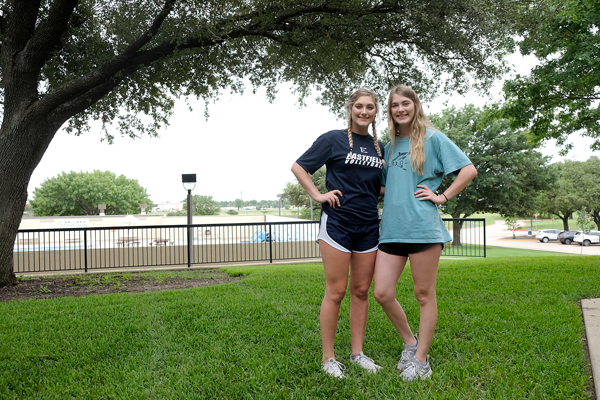 Mica wants to transfer closer to home and play sand volleyball at Texas A&M’s Corpus Christi campus, while Jade hopes to end up at an NCAA Division I school where she can pursue her volleyball dreams. “I just wanna go wherever volleyball takes me,” Jade said.